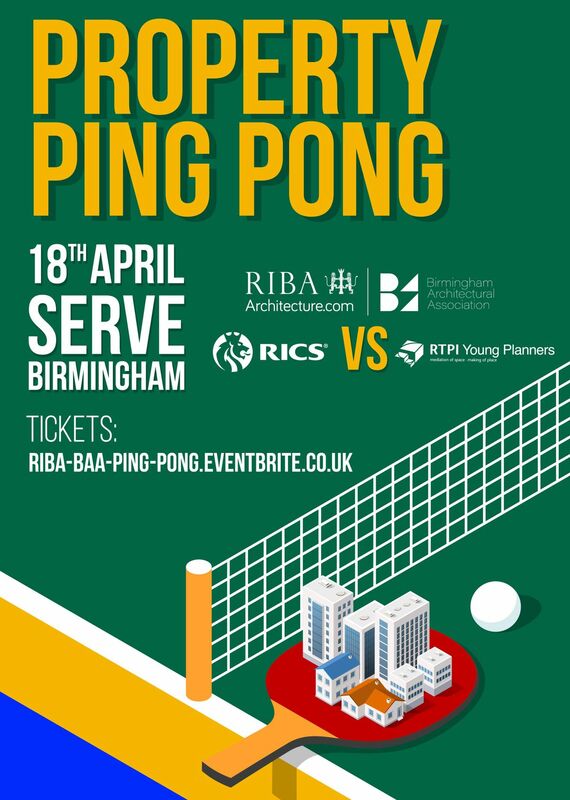 Join the Birmingham Architectural Association & RIBA West Midlands in Birmingham for the property event of the year - Property Ping Pong - joint with Young Planners (RTPI) & RICS Matrix. Your profession needs you - competitors and spectators! 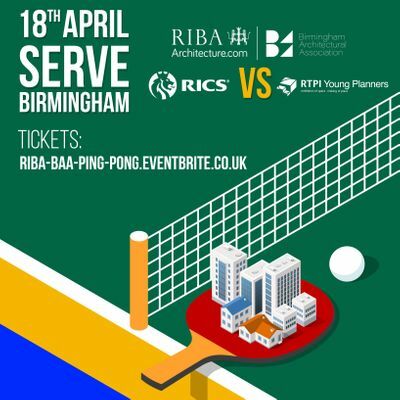 Hosted at Serve, you will have the opportunity to be crowned Property Ping Pong Champion 2019. Kindly sponsored by the BAA, Avison Young, RICS, RTPI and RIBA, the evening will begin at 18:00 with networking drinks and a buffet, and the tournament will kick off at 18.45. Ticket restrictions apply to sales representatives, manufactures & recruiters due to BAA sponsorship arrangements. Contact Y29ub3IgISBub2xhbiB8IHJpYmEgISBvcmc= for more info.